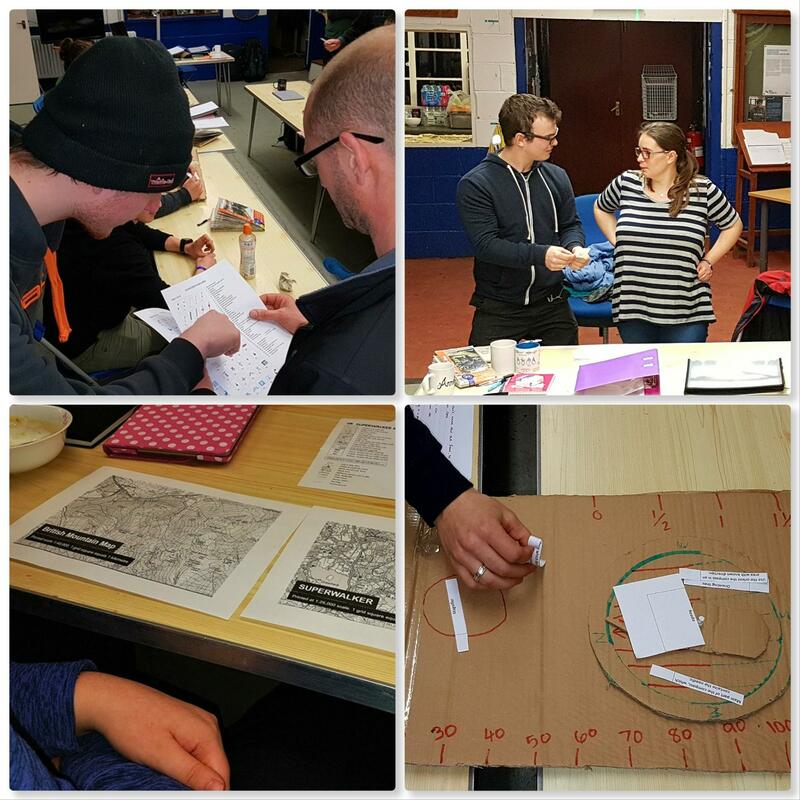 Moving onto March of this year in my scramble to catch up on my blogging backlog, found me once again, involved in training our Sea Cadet instructors in becoming Lowland Expedition Leaders (LEL). 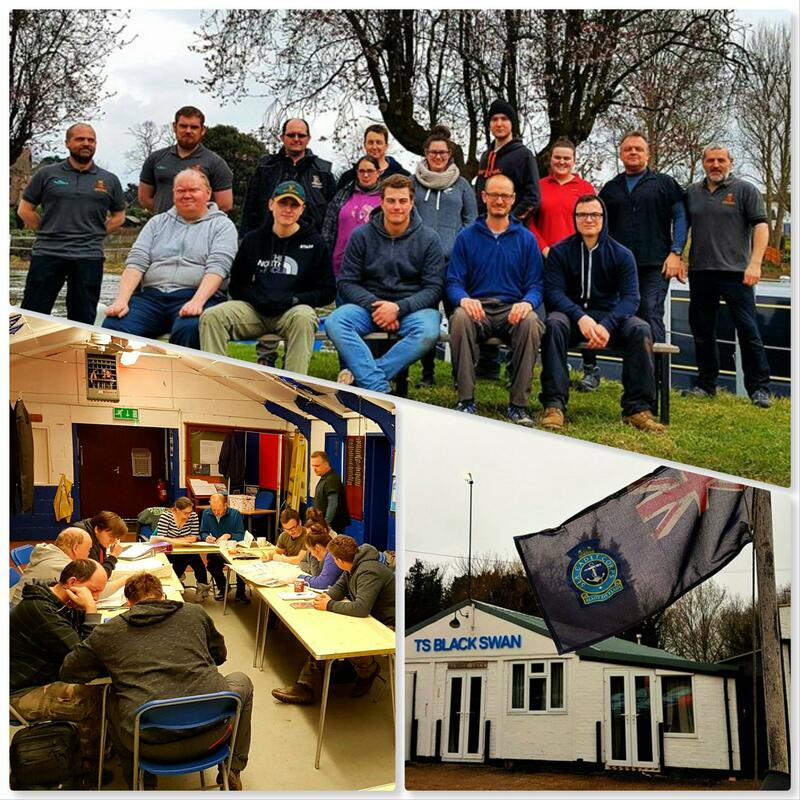 The weekend was based at TS Black Swan – the Sunbury & Walton Sea Cadet unit on the banks of the Thames. After lots of the usual admin there was plenty of adventure training lessons to be gotten through. 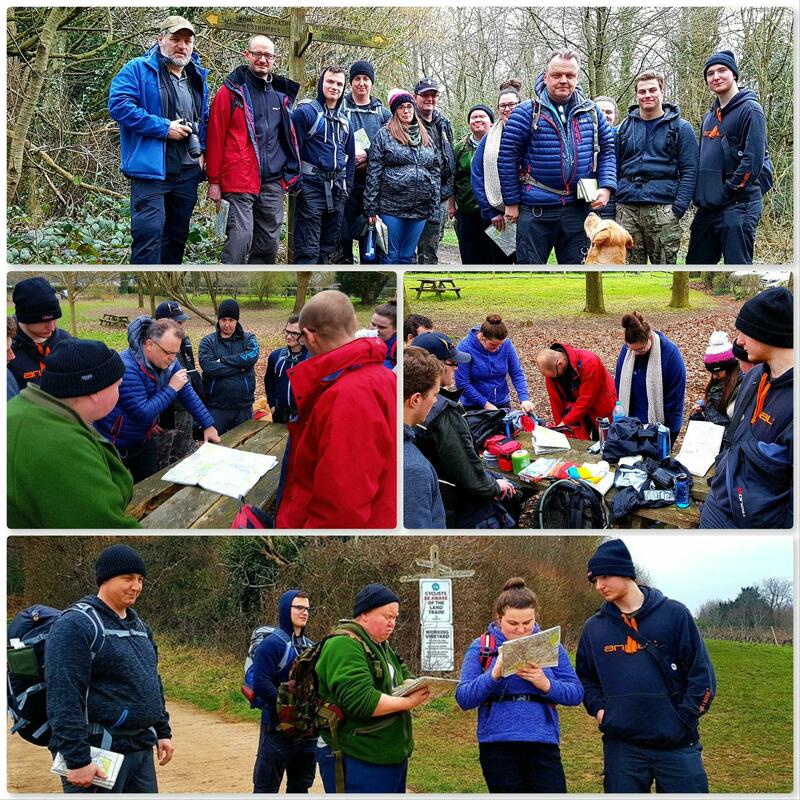 We try to get all the basics like Legislation, Health & Safety and Kit covered in class before heading out for outdoor sessions. 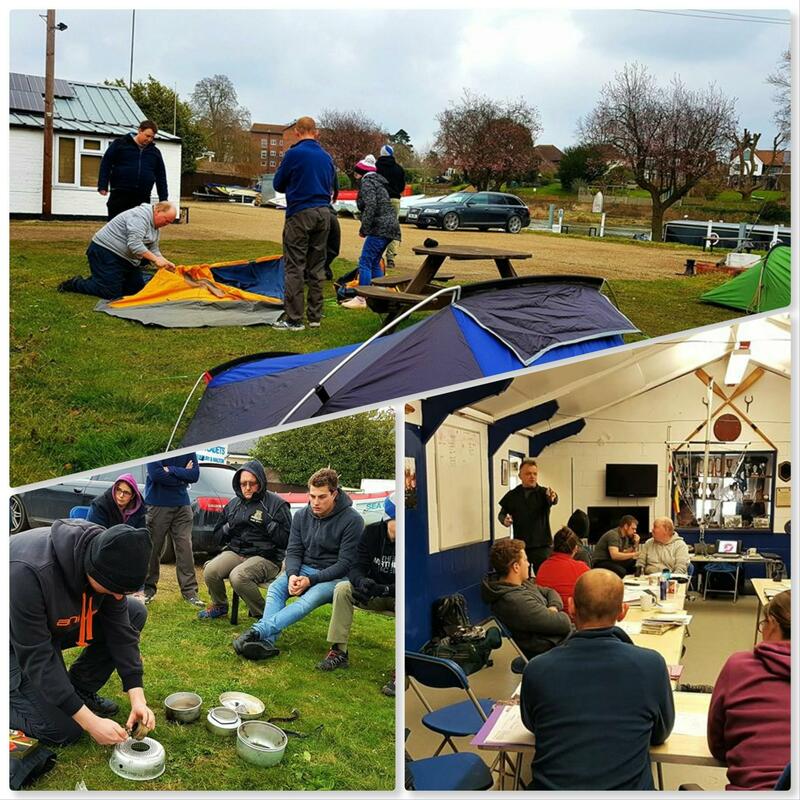 Students learn all about tents and stoves in a very hands on way. They need to learn fast as they are expected within a couple of months to be teaching these subjects to cadets (under supervision though). From the start we like to get the students practicing their teaching skills. In pairs they were tasked with giving short lessons in subjects such as map and compass work. I was particularly impressed with the cardboard compass they produced to teach everyone about its different parts. 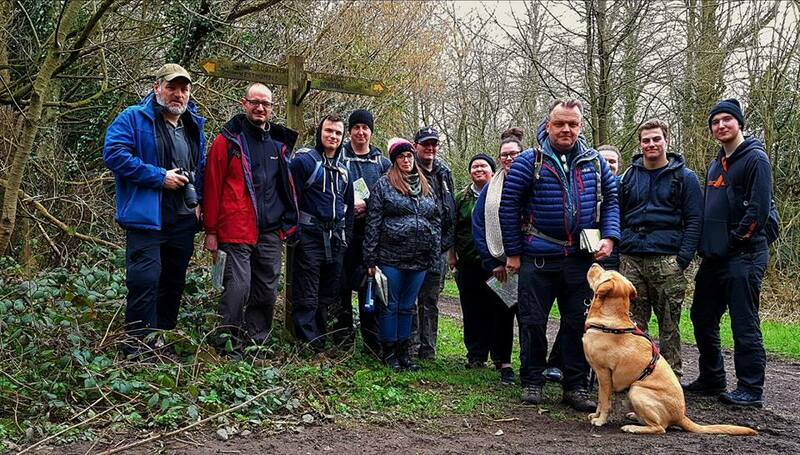 Much of the rest of the time was spent out and about practicing the use of maps and compasses on the North Downs. 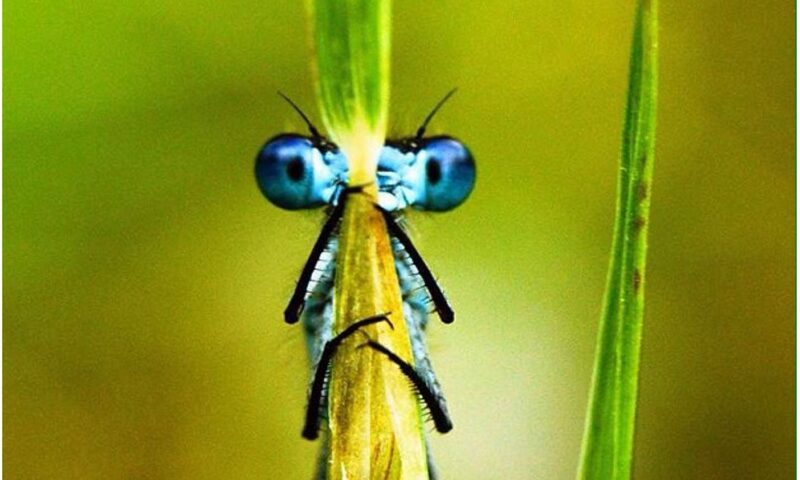 It was a much cooler time of the year as you can see from the pictures below – a time of year I find far more comfortable in comparison to the heat we are currently facing – as I write this in mid summer.